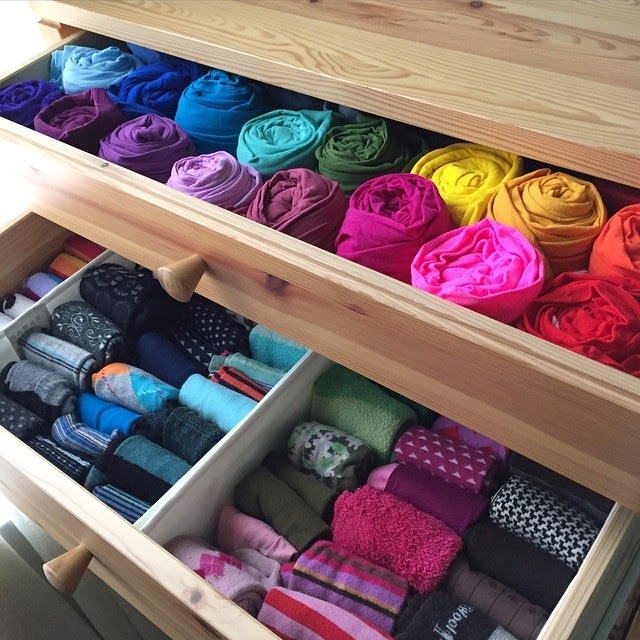 So if you're like me from last week, you don't know what the KonMari Method is. You've never heard of this bestselling book that seriously is changing people's lives. Isn't the author, Marie Kondo so beautiful? Doesn't her living room look so peaceful and uncluttered behind her? 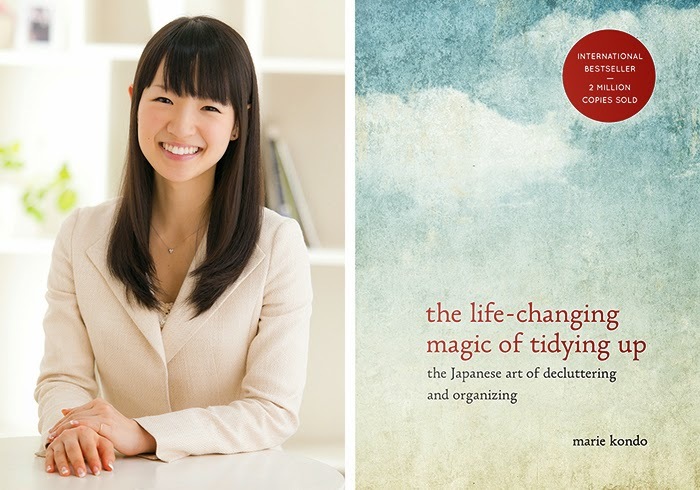 The tidying method she explains in her book is called the KonMari method, which is a play on her own name. Get it? We are beginning the process of seriously trying to sell our house. We have a realtor coming over at the end of the month, and we have been saying that we need to get the house ready but have lacked the major motivation needed to do any work. Six kids and sick kids can do that to the best laid plans. So there I was, in the middle of Lent, feeling overwhelmed at the thought of getting my house ready to sell and keeping it ready to show. Rachel and me in 2011. I have since started wearing makeup...geesh. And then beautiful Rachel, who seems so perfect in a non-annoying way (which is tough to pull off! ), who is raising six kids of her own, organizing laundry systems, and keeping a gorgeous house to boot decided to review The Life-Changing Magic of Tidying Up. It was fate. I went and ordered it right then and there. The book came, and I devoured it in two days. I started cleaning this weekend. It's been amazing. We have given away 19 huge bags of clothes, towels, sheets, shoes and coats and two crates of books. And we're just starting! Treat this de-cluttering and purging stage as a big time event. She promises that if you do it right, you will never have to do it again because you will live in a constantly uncluttered home with a place for everything and everything in its place. Clean/de-clutter/organize by category. In the past I would clean a room or a specific area of the house (my bedroom, the bathroom, the hallway closet) and not categories (books, shoes, papers). Cleaning by category means collecting everything you have in one category (let's say tops), putting them all in a big pile, and then choosing what to discard. This is easy to do once you can see all your tops in one place. When choosing what to discard, you must touch each object and decide if it "sparks joy". If it doesn't, let it go. Her method says that if you discard all items that don't "spark joy", you will be left with exactly the amount of stuff you need, and you will have exactly the amount of space for everything. She does not promote buying any organizational tools or getting extra storage space. I love that the book is not trying to sell anything but motivation. When putting away clothes, she folds everything so it "stands up" and you can see it, instead of in piles. Her socks are rolled and stood on their side, like sushi. Her closet is hung by size/material/color. When discarding an item, she suggests you thank the item, let's say pants, before passing them on. While I understand that the sentiment is to completely let go of the pants, to free yourself of them, I think you should thank God instead. So rather than saying "Thank you pants for keeping me warm" you could say "Thank you God for providing me with warm clothing", or "Thank you for my mom who gave these to me" or "Thank you for the job that allowed me to buy these." But God is the source of all our gratitude. When folding your socks, she makes a big deal about how rolling them into balls in a terrible way to store them because then they can't rest and relax. She goes on to explain that balling socks pulls on the fibers and loosens the elasticity and therefor ruins the socks. I think you should treat all the items you are keeping as best you can, but not worry about their state of relaxation. In my research, I believe this is a facet of the Japanese culture, so I am not trying to be an ignorant American, but for me, it was a little much. She writes about how when you get rid of excess items, you feel lighter, the air is cleaner and you begin to enjoy your home again. She tells of people that lost weight or got their dream job after tidying up their house, all because they are living in a peaceful environment. I agree that de-cluttering can be life-changing, but it's also because of what it does to your soul. The added benefits are that you are learning not to be materialistic, helping out others through your donations, and receiving the grace to focus on other areas of your life. Like a good confession, a weight is lifted and life feels fresh and new once again. There's a reason why so many religious brothers and sisters take vows of poverty - it is freeing! She greets her house and any house she enters as if it's a temple. She literally kneels down when she enters a client's home and talks to the house. If only we took the time to talk to Jesus as much! I'll keep my adoring to Him and Him alone, thank you very much. For me, God and clutter are very intertwined. You see, for the first ten years of my marriage, we always needed things - furnishings for our home, clothes for the kids, beds and toys and shoes...you get it. We weren't in a position to say "no" to any form of hand-me-down, because we were poor and in need. So we said "yes" to everything even if it was ugly or ragged or not timely. We accumulated a lot of stuff, and thanked God for providing it. Just in the past few years, we have started getting rid of it. We realized that we can now be picky about what we keep, and we can put a limit on the amount of toys/sports equipment/shoes that the kids have because they actually don't need that much! We can afford to buy a pair of sneakers for Xander and don't need to save him the three ratty pairs that his older brothers have worn out. We are blessed, and as God has proven over and over again, He will provide the things we need when we need them and we shouldn't worry about being greedy hoarders for the "just in case" times. 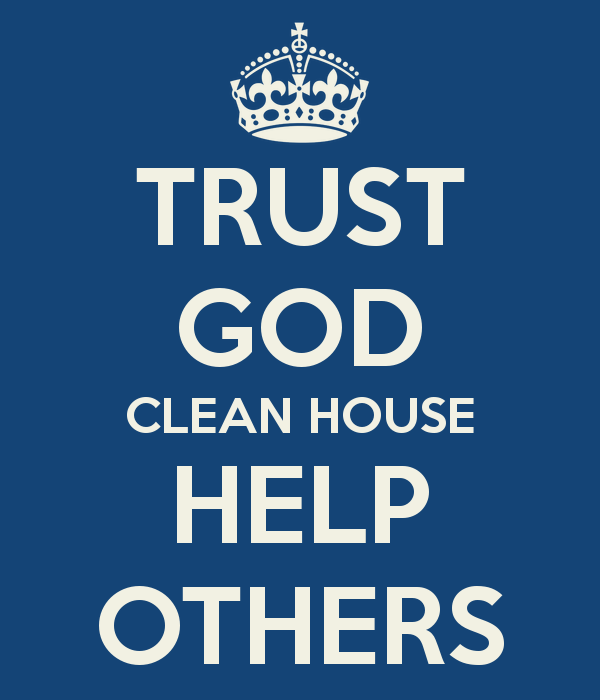 Trusting in God's providence (and working hard on our end) has been so freeing in letting us de-clutter our house. So that's it. Buy the book. Change your home and your life, but if you're a Christian, don't forget who is the only true source of happiness and worthy of our praise. Great advice! Tons of my friends have been talking about her new show recently, and I'm glad to see a review of the star, if not the show itself. I feel like this post is especially timely as we're expecting our first in two months and the nesting is real!! I've been thinking about tidying up constantly, and although we're also in that "thank you so much for even the rattiest hand-me-down" phase, we still have things we can part with. I like the connection to spiritual poverty as well! I remember this post. I love how you emphasis to Whom we should really be thankful. My problem is I will declutter then slowly accumulate again. Every few years I do this. Why?? So aggravating! I need to make a commitment to be consistent about it.